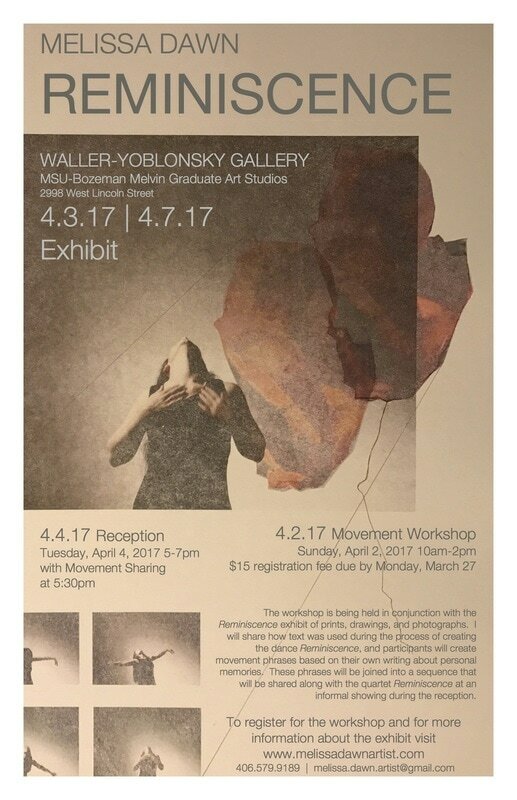 The workshop was held in conjunction with the Reminiscence exhibit of prints, drawings, and photographs. How text was used during the process of creating the dance Reminiscence was shared, and participants created movement phrases based on their own writing about personal memories. These phrases were joined into a sequence shared along with the quartet Reminiscence at an informal showing during the reception. 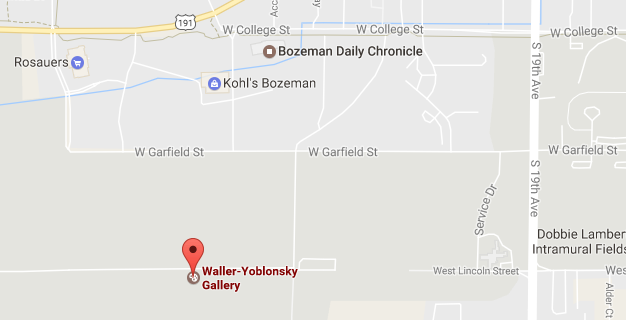 The Waller-Yoblonsky Gallery is located west of the MSU campus at 2998 West Lincoln Street. Turn off of W Garfield onto the road for the MSU Montana Agricultural Experiment Station, turn right and proceed past the Bob Miller Pavilion and the Farrier School. No parking passes are required.